Don’t you just love cilantro? 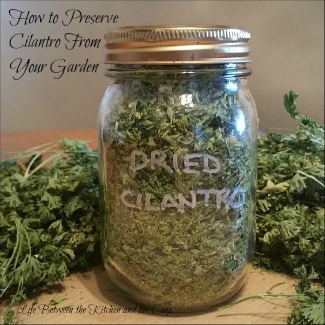 Here are some quick tips on how to preserve cilantro for use in salsa or Mexican food. This is one of my favorite food preservation tips. You won’t believe how easy it is! I know a lot of my readers have gardens, so I thought today I would share with you one of the ways that we are able to preserve the things we grow in our garden so that we can put them in our food storage and use them all year round. Did you know that you can preserve herbs from your garden and have homegrown seasoning for your food all of the time! 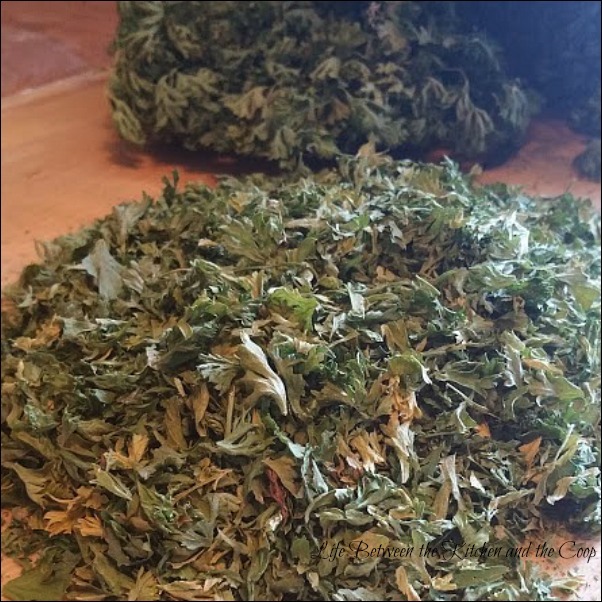 There are lots of herbs that you can preserve by drying them. 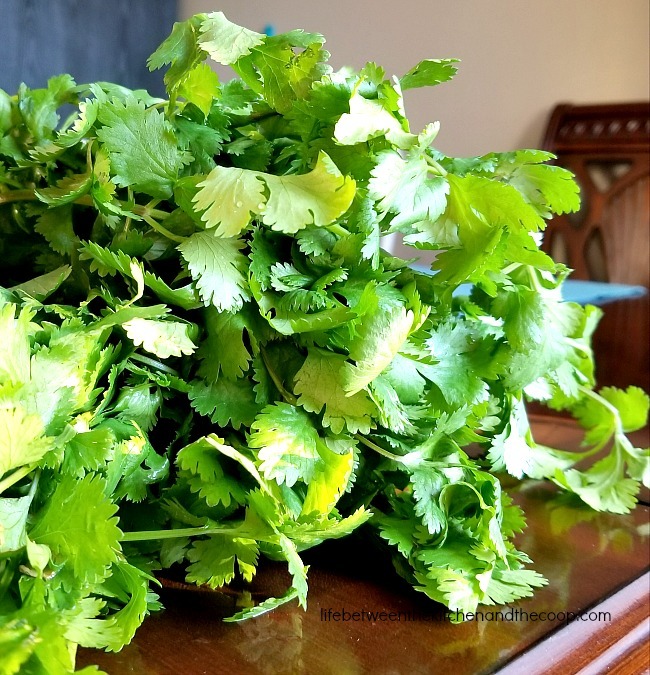 After you pick your fresh cilantro from your garden just wash it and let it air dry (you can speed up the drying by blotting lightly it with a paper towel if you like). 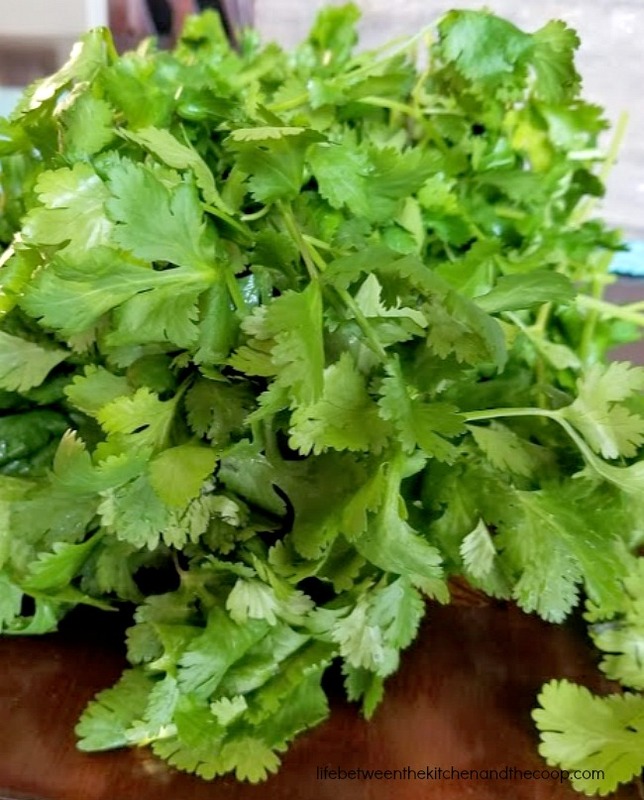 Once it is completely dry, place the cilantro in a paper lunch bag. Fold over the top of the paper bag, lay it on its side on the kitchen counter and then let it dry for 10-14 days. Once it is dried out completely it will crumble easily. That means it is time for you to remove the stems and crumble the cilantro up into little bits! That’s it! Now you can either put it in your spice jar OR if you have lots (like I did), you can put it in a mason jar — I had two jars worth! 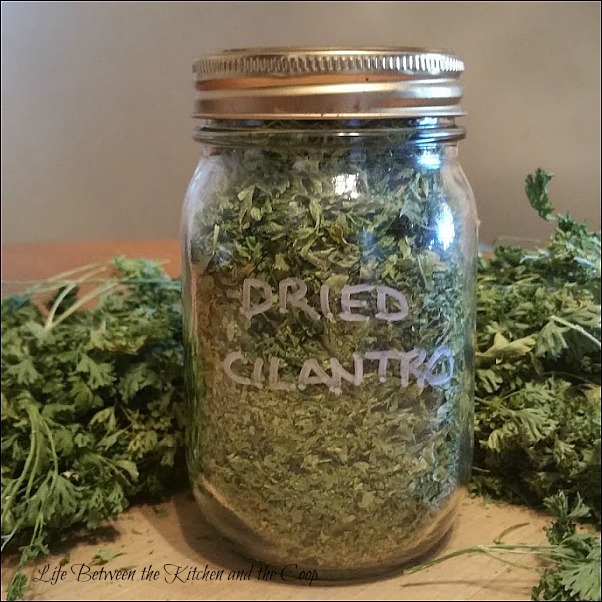 Having homegrown dried herbs on hand is such a great addition to whatever you cook. I am excited to try drying basil this year! It will be so yummy in my marinara! We have dried parsley, fennel seed, and cilantro. It feels so good to be using things from your garden all year long! Tell me…what are your favorite herbs to preserve? Next story Make Some Yummy BLT French Bread Pizza! I have done basil and that will work fine. I haven't tried lavendar, but I would think it would work. If you try it, please let me know!